SunEdison, which started out making chemicals and components for solar modules but grew into a giant of renewable energy, has filed for bankruptcy protection, the company said Thursday. The filing, under Chapter 11 in the Southern District of New York, brings to an end the company’s ambition to become the world’s leading renewable energy development business. Although some of its subsidiaries were included in the filing, it said, TerraForm Power and TerraForm Global, its publicly traded units known as yieldcos, were not. Mr. Chatila, who had overseen a series of acquisitions that racked up $11 billion in debt by the end of the third quarter of last year, said that the company would shed assets in an effort to become more streamlined and efficient. The company also announced that it had secured up to $300 million in financing to pay for day-to-day operations as it goes through the restructuring. 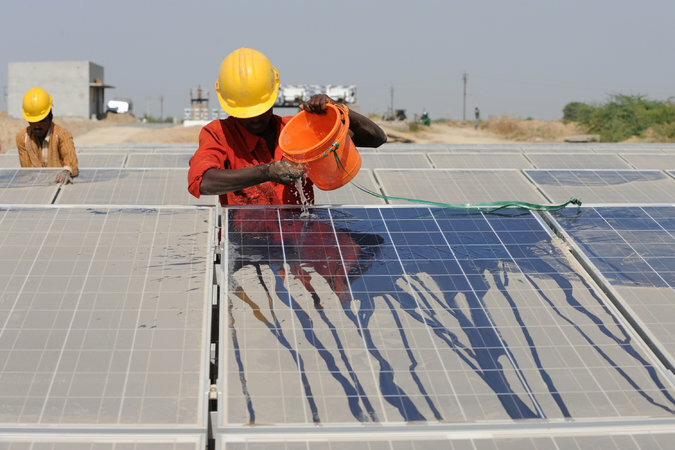 SunEdison’s troubles stemmed from its rapid growth across several areas, analysts say. It expanded its financing options with the formation of the yieldcos. It bought several companies as it moved into different kinds of energy projects, including forays into wind, energy storage and residential solar, while at the same time looking to expand its manufacturing operations in large markets like Brazil, China and India. The company’s precarious situation began surfacing last summer as investors lost confidence in the alternative energy sector and as SunEdison decided to move into the residential rooftop solar business by trying to acquire Vivint Solar, a deal that drew resistance the start and ultimately fell apart. The company’s outlook continued to deteriorate in recent weeks. TerraForm Global publicly raised the possibility of its parent’s bankruptcy, and SunEdison acknowledged that it was under investigation by the Securities and Exchange Commission and the Justice Department in several areas. It also faces lawsuits from Vivint over the failed acquisition, investors, creditors and TerraForm Global.